When you are making a payment – or when you have someone making a payment to you – it is important to track things, to keep things organized and written down. 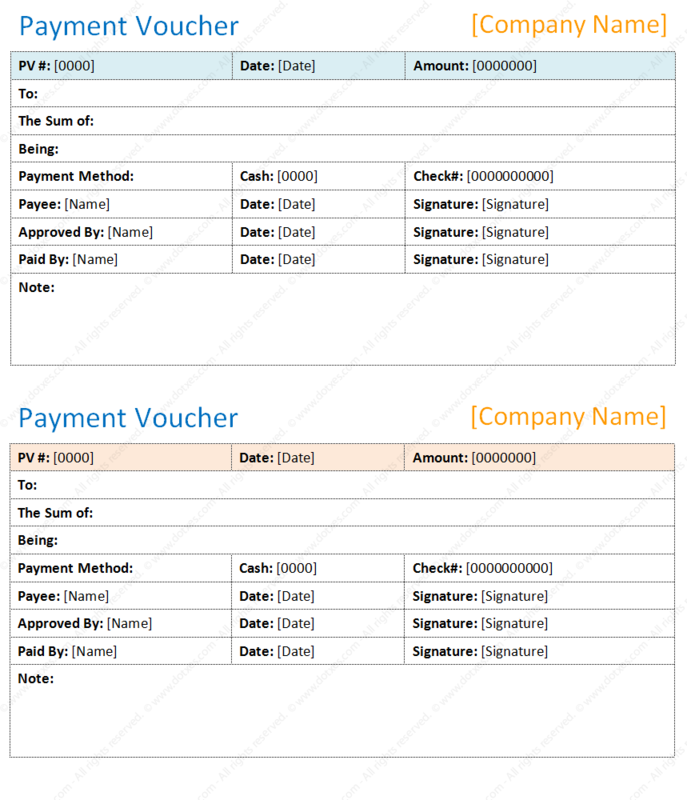 This payment voucher template will help you do that in a simple and easy manner. This template includes space for your company name on the upper right. This allows everyone to know just who is making – or receiving – the payment. The template then has quickly editable fields for the date and the amount of actual payment. Created in Microsoft Word®, this payment voucher template allows you to track payments in a professional and simple manner. This template includes fields for the payee’s name and signature, a name and signature of an approving party, and more. There is even space for notes on this template, so you can fill in any relevant comments that will help to keep things all the more organized. We hope this payment voucher sample will help to simplify your life.